Feeling parched? Craving more? Wondering where fulfillment and purpose have gone amongst the to-dos and demands of everyday living? Often I find that even with all our incredible blessings and daily abundance, we can still be drowning internally with haunting emptiness and feelings of insignificance. Those whispers of doubt and despair can take on tornado-like winds through our minds and dry out our bones as we keep trying to move forward one-step-at-a-time through the unknowns of life. We don’t like to say it out loud, but sometimes life can get hard. Prayers seem to go unanswered. Our hope can fade and flat-line. Yet ironically, what connects each of us and makes us so similar are our hidden struggles because as living, breathing human beings, each and every single one of us will experience fear, loss, rejection, and pain at some point in our lives. So where do we turn when we need absolute truth spoken into our broken hearts? Where can we run when we are in need healing? Who will love us unconditionally even when we have a hard time loving others and ourselves? Friends, know for certain TODAY that we can run straight into the arms of our Heavenly Father and let Him speak His love over us through His written word because nothing will supercharge our faith and bring clarity to our hearts, minds, and souls like going straight to the WORD OF GOD, the Bible, for answers in our lives. Maybe you have been silently parched and are craving refreshment for your soul, a new beginning, or just rest from too many weary days? I will never forget a season in my life when I needed to hear from God. He, and only He, was all I wanted. I no longer had a desire for religious protocol, rules, or theological debates but wanted to feel His everlasting and personal hold on my life. As I fervently prayed, I found myself sitting down at my desk with a journal in hand and my Bible wide open, and I began writing out truth. Before I knew it, I had written out the entire New Testament; in doing so, I had a complete new awareness of who my God was and how much He loved me. 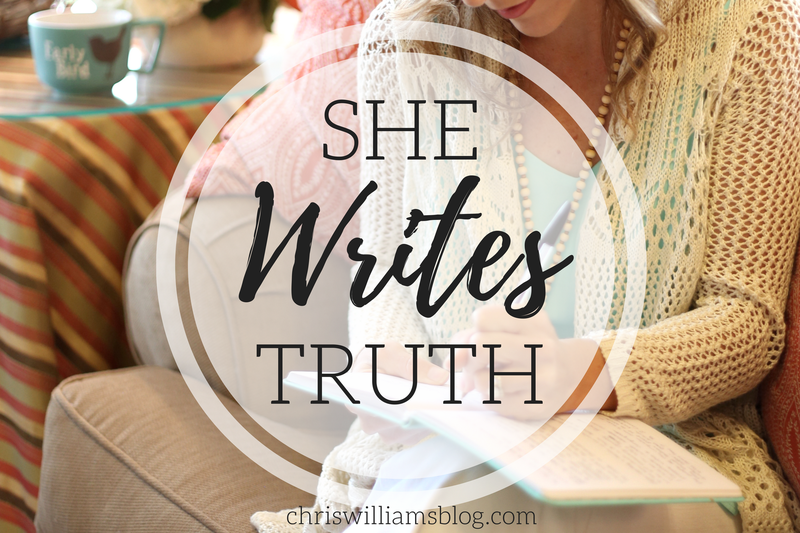 Quickly I discovered that I was not just penning His story into my journal, but through the power of the Holy Spirit, God was supernaturally saturating my heart with His living breath. Words of scripture began to jump off the pages making the hairs on my arms stand tall as He spoke directly to specific areas of my life; tears started to swell up and roll down my cheeks as He brought clarity to my mind. Never in my life had my faith been so radically transformed, and it came from opening up my Bible, grabbing a pen, and writing out truth. All it takes is a great desire to know Him, a keen willingness to hear from Him, and then availability to go directly into His Word. How thankful I was to discover that writing out scripture allows us to slow down and let His truth seep deep into our spirits to speak love, purpose, and healing into our lives! 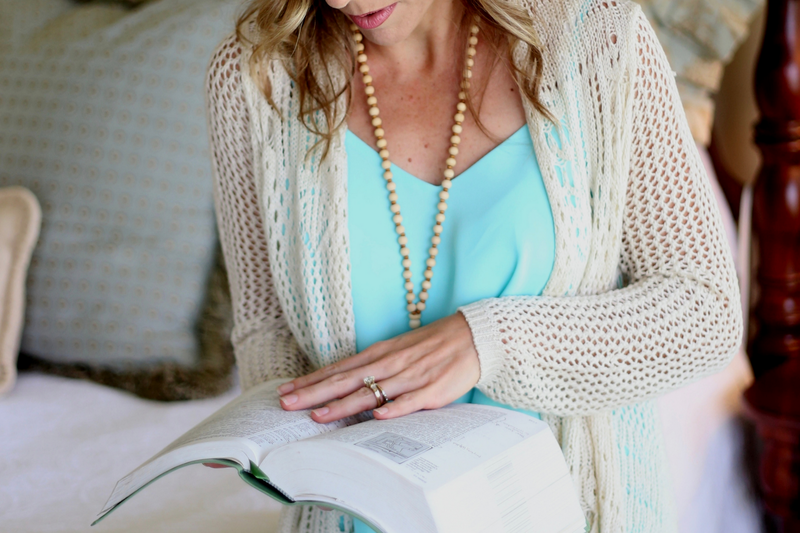 This year, my dear friend, I hope you will join me in digging deep into the Word of God. I have no doubt that He has so much He wants to share with US! Let’s encourage one another to write out truth together so His beautiful love story will be forever penned to our hearts.